Today's post will be brief. I'm busy, your busy, so lets just get to the point. I've attended several writers conferences this past month. (Indie Recon was awesome!) And, except for the one made almost exclusively for indie authors, I have, without fail, received condescending looks every time I've said I'm going with indie publishing. My word of advice to those new to this experience, the looks are normal. Don't let the naysayers get you down. Work hard, and prove that you have something worth saying too! Being an indie author requires a lot from those who journey on its path. Here are three things I've discovered on my trek thus far. 2. If you find you have limited time in your schedule at the moment and the choice is between writing or building the business, always, always write first. You can't have a successful business without a product. In indie publishing, and traditional publishing, the product is the most important thing. A side note: realize that writing is important and don't beat yourself up about not being a expert on all the others things yet. They will come as you tackle learning each aspect of indie publishing, one thing at a time. 3. If you know you want to indie publish then start saving now. Put a little aside each month to help cover those upfront business costs. Yes, indie publishers have the potential to make more on royalties, but you have to have a stellar products first. That takes time and money--lots of both. So prepare in advance. Even if that rough draft is nowhere near publication, start saving for the editor, cover image, print copies, etc., now. One last word of advice that I've found helpful. Live you dreams. Don't let the daunting wall of to-dos keep your from really enjoying the wonders of writing and publishing that first, second, third, whatever number your on, book. Write your story. If you make it the best you can, then you will find the right readers for the tales you spin. Good luck to you all! All fantastic points. And you're right Indie does not mean easy! It's definitely a longterm path and its good to assess that from the get go! I also totally agree with the writing, it really is the thing! Thank you for sharing these points. 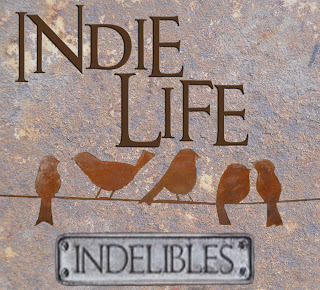 I am considering going indie and I have noticed it is a very controversial topic. Oh and congrats on coming in first on the leader boards at the dojo!